I made the bottom ribbing longer–-8 rows instead of 4–-as it did not seem to have enough visual weight as written. 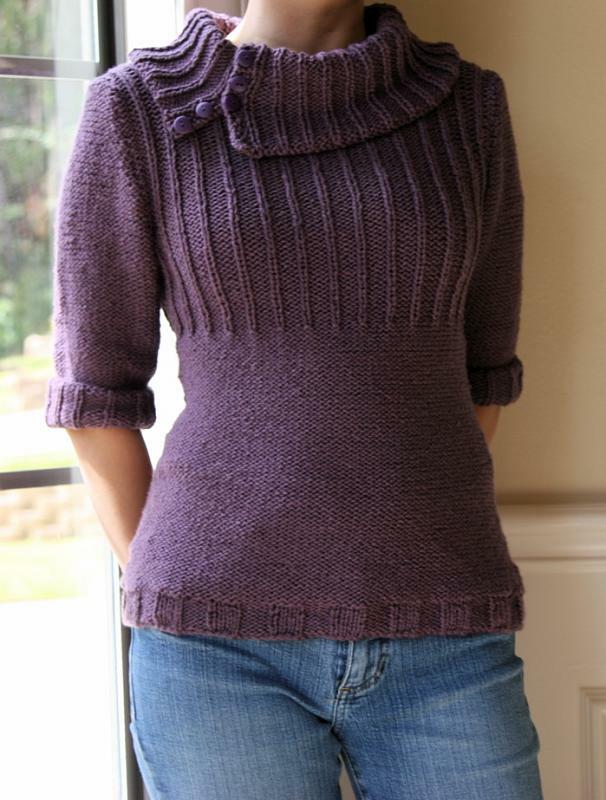 The sweater was knit in the round, from the bottom up, and split at the armholes. The main body is in reverse stockinette, but I basically knit it inside-out; knitting stockinette in the round goes so fast, especially on size 9’s! 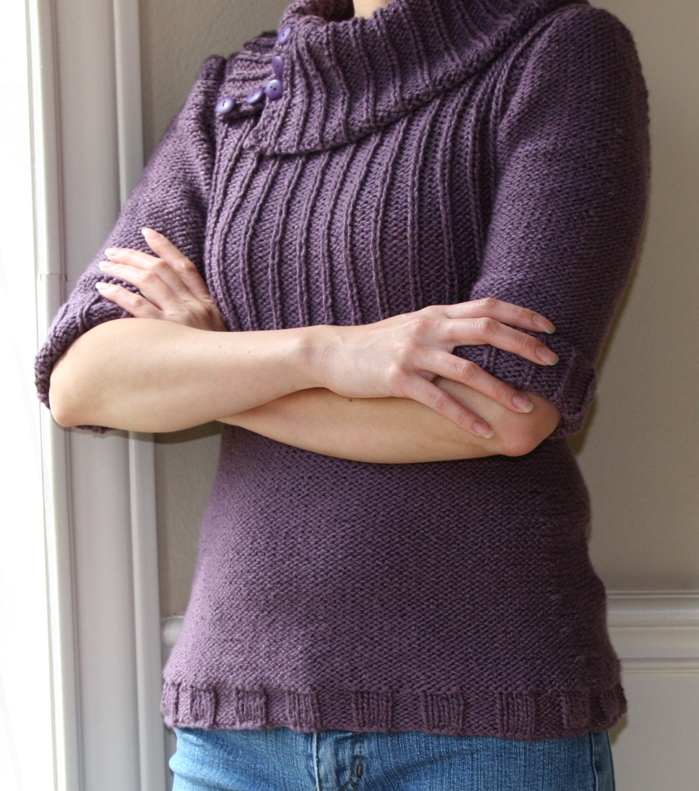 I added waist shaping as the sweater is pretty blocky without it. I did not have enough yarn to make full sleeves, so I made half-length sleeves instead. For the sleeve cuffs and collar, I picked up stitches and knit them in the round, rather than knitting them separately and then sewing them on. I omitted the button plackets on the sleeve cuff. The collar was knit as one piece for the first 3” and then was split to allow for a button placket. The last 1” was knit with 1 needle size larger to make sure it would drape properly. The yarn is soft and comfortable to knit with, except there was a fair amount of static at times. It does make for a soft and warm garment. The yarn is very forgiving in that I can’t see the inconsistencies in my stitches as well as you can with other yarns, even before blocking.